If you are involved in any form of research, it is a mandatory requirement at UPHNT to renew you GCP training every two years. GCP training can be completed by either attending one of our monthly group sessions or by completing an online e-learning course. Please see below the GCP training dates for 2019. Please contact plh-tr.RD-Office@nhs.net or telephone 01752 (4) 32842 to fully secure your booking. Click here to secure your booking. The NIHR online ‘Introduction to Good Clinical Practice’ training may be carried out here. The MRC online ‘Good Research Practice’ training is located on MRC Learning Management System here. Research and Development Conference – Registration now open! A date for your diary - Friday 15 June is our sixth Research and Development conference taking place at the Postgraduate Medical Centre (8:45 – 17:00). The conference is designed to showcase some of the fantastic achievements and endeavours in the world of Research and Development and Innovation, and to demonstrate the impact research has on healthcare development. As a leading centre for medical research, the Trust has paved the way for the delivery of research in the South West Peninsula leading to the development of new technologies, treatments or services to improve patient care. We are excited to announce that as part of our conference, Roy Lilley, the founder of the Academy of Fabulous NHS Stuff, is the confirmed key note speaker. Roy’s position as a former chair of Homewood NHS Trust, and a commentator and analyst of healthcare policy, has contributed to his unparalleled reach over social media in the NHS. You can follow Roy on Twitter @RoyLilley. For more information on the Academy of Fabulous NHS Stuff take a look at the website https://fabnhsstuff.net/ or follow their twitter page for more information @FabNHSStuff. To register for the Research and Development Conference please visit https://www.eventbrite.co.uk/e/research-conference-tickets-43193890088 or contact Helen (hneilens@nhs.net) or Jocelyn (j.elmes@nhs.net) for more details. At PenCLAHRC we believe that better, cheaper and safer health care can be provided by making decisions that are based on evidence. Many of us are busy meaning that accessing, interpreting and implementing evidence is difficult. We provide a programme of free high quality critical appraisal skills workshops. It will help you identify the information gems amongst the information deluge to which we are all subjected. Please register online by visiting our website, here. If you can’t attend this time, there are others available around the region, or contact peninsula-ebp@exeter.ac.uk to be kept up to date. If you have been on a workshop and thought it was useful, could you recommend it to a colleague or trainee? Open to all doctors, allied health professionals, managers, or anyone else working in healthcare and interested in improving their critical thinking, we are happy to discuss the possibility of bespoke training with individual departments. Interested in a PhD Scholarship? We are recruiting for this 3 year scholarship, starting September 2018. The PhD is for the project: Information Visualization/Visual Analysis of Big Data from Critical Care. 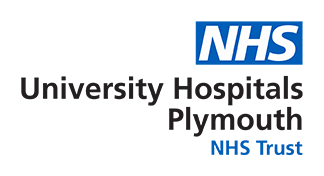 The focus of this research is the visualization and analysis of big data from the Intensive Care Unit (ICU) at Derriford Hospital, Plymouth. Our aim is to improve patient recovery in ICU. Long stays in ICU have been shown to be detrimental to long term recovery. Thus, the medical team at Derriford are increasing the use of different techniques of physiotherapy, during ICU stays, in order to speed up recovery and discharge from ICU. The unique part of this project is the dynamic link between the big data specialists and the medical team. It is anticipated, that insights and breakthroughs derived during analysis and visualization will be rapidly communicated to the medical team, potentially resulting in changes to patient care. If you are interested/potentially interested, then please do get in touch with the Director of Studies; Liz Stuart lstuart@plymouth.ac.uk or take a look at the following link for more information Interested in a PhD Scholarship.docx.pdf [pdf] 349KB . We can discuss the project in more detail, have a tour around the ICU unit at Derriford and meet the inspiring medical team. Would you like to reduce your smoking but aren't ready to quit? Why not join a study which may help?